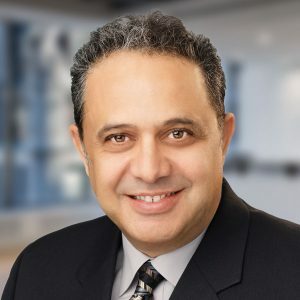 Tarek Bannoura has over 25 years of experience in structural engineering and management, covering an extensive range of projects that include office buildings, educational facilities, entertainment complexes, hotels, and casinos. Mr. Bannoura’s experience with the firm includes Resorts World Las Vegas, a $4 billion hotel and casino currently being developed in Las Vegas; the Northern Quest Resort & Casino Expansion, a 295,000sf gaming facility expansion in Airway Heights, Washington; Shanghai Disneyland Hotel, a 7-story, 419,800sf hotel in China; the Cache Creek Hotel and Event Center expansion, a 7-story 400,000sf expansion located in Brooks, California; and Harrah’s St. Louis Event Center in St. Louis, Missouri. Mr. Bannoura received his Bachelor of Science in Civil / Structural Engineering from the University of North Carolina at Charlotte and his Masters Degree in Structural Engineering from the University of Nevada Las Vegas.